When you maintain a busy lifestyle, with lots of responsibilities and deadlines, learning to organize your life can take a lot of effort. However, you can organize your day more effectively by using scheduling and planning tools that can help you keep organized throughout your efforts toward achieving long-term and short-term goals. While everyone has their own favorite system, such as Tina’s list of great free online time management tools Manage Your Life with Free Online Time Management Tools Manage Your Life with Free Online Time Management Tools Read More , my own favorite is Yahoo Calendar. The following article outlines all of the cool tips and tricks that will turn Yahoo Calendar into your very own personal and professional assistant. About a year ago, I realized that I was spending so much time trying to finish projects simply in order to make money to pay the bills, that I wasn’t doing anything to achieve any sort of ultimate success. Without goals, you never elevate your success to higher levels. Instead, you can end up spending your entire life running at full speed in different directions, but never getting anywhere. Once I realized I needed direction and focus, I turned to Yahoo Calendar, mostly because I already use Yahoo email so I knew about it and it integrates nicely with all of the other Yahoo services. Yahoo Calendar helps you focus the direction of your daily efforts by providing you with the ability to list your short and long term tasks. The best way to use this feature is to make a general list of tasks that you want to successfully achieve within the next one to three months. Obviously, your monthly tasks will include the short term “work” that you need to accomplish, but many of the longer term tasks should be focused on your ultimate dreams and goals. For example, if you want to become a published author, it’s a good idea to establish a reputation as a writer through blogs, or by submitting your work to writer’s organizations and contests. Your task list will ultimately organize your goals into bite sized pieces that you can realistically accomplish. The heart of Yahoo Calendar is the “event.” Whether it’s a project, a birthday or a meeting, events are the small daily tasks that tend to get lost when your list of responsibilities gets too long. By entering your daily tasks into Yahoo Calendar, you’ll instantly have your own virtual personal assistant that will keep track of what you have to do and when you have to do it. It will even remind you through email or mobile phone (more on this feature below). Entering an event is very easy, and it’s a powerful tool with a number of useful features. The best way to keep organized with this feature is by entering an event the moment you learn about it. This way, you can rest assured that you won’t forget. For someone like me, the less that I have to remember, the better off everyone will be. Entering an event is very simple – you can simply enter a title, event type (there’s a list of about 27 types), and the date and time. Don’t forget to make it repeat if it’s something that takes place on the same day every month or every year. Or course, my favorite feature included in the “add events” tool is the ability to send invitations to people via email, and the option to enable reminders. These two features add tremendous functionality to Yahoo Calendar. No longer must you remember to check your calendar every single day. 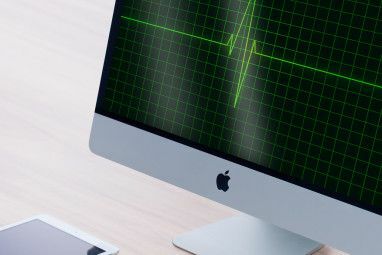 You can set up this web app to either email you, send you a message in Yahoo Messenger or even send a text message or email to your mobile phone to remind you of your scheduled event. Are you prone to forgetting dentist or doctor appointments or even birthdays and anniversaries (I am!) – this feature alone will help you keep organized and on time for every single appointment in your hectic schedule. The other very useful feature is the “invitations” tool. By simply listing email addresses, you can remind family, friends, or co-workers of important events. If you’re working on a project with colleagues and you’ve all agreed to meet somewhere to go over work, you can use this feature to have Yahoo Calendar send everyone in the group an email invitation to the meeting. The Yahoo Mobile feature that’s integrated into the online calendar is very easy to set up. Just complete the simple “create alerts” wizard to integrate Yahoo Calendar with your mobile phone. This is a feature that I use constantly in order to keep organized and on time – I couldn’t live without it! Yahoo Calendar provides four view formats for your calendar. The daily view gives you an hour-by-hour view of your daily schedule. My favorite view is the weekly view, because it provides just enough of an overview so you can plan ahead, while also offering enough specifics so you know exactly what you should be working on this very moment. Another nice overview is the yearly view, which provides bold dates for those days where events are scheduled. When you really need to organize your schedule, these four views really offer the perfect solution. You can choose what level of organization you need, and then use just the features that you need to stay organized in your particular situation. Of course, another powerful feature of Yahoo Calendar is its ability to share events within your calendar, either publicly or just to a select few. The cool thing about the “sharing” feature is that it’s so easy to customize. If you have a private calendar, but you want family and friends to have the ability to view your schedule, you can create a “friends list” of people you would like to grant access to. You can even create “special friends” who have rights to modify your calendar. There are a number of great online calendars available to help you organize your time and energy. 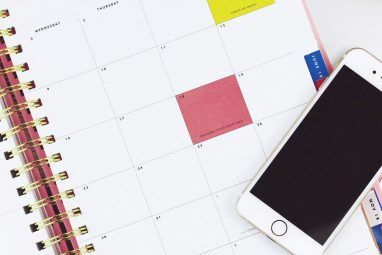 Wendy’s article, “4 Online Calendars To Help You Get Organized 4 Online Calendars To Help You Get Organized 4 Online Calendars To Help You Get Organized The new year is a time to get organized and what better way to help you keep up with your busy life than using an online calendar. An online calendar is better than writing everything... Read More ” lists four of the most popular online calendars. The smartest approach is to test drive each of them for a week or two to determine which one fits your own style and organizational approach. Once you choose one and use it every day, you’ll notice your productivity and accomplishments skyrocket tremendously. Do you use an online calendar to keep organized? Share your favorites in the comments section below. Explore more about: Calendar, Task Management, Time Management, To-Do List, Yahoo. Mental health association,they are know bad people,working there certain people,will be hospitalized or heavily medicated! Dangerous! I love my calendar, but I created a second calendar and I would like to delete it. How do I do this without deleting my main calendar? i WILL,SEE TO THAT THE wESTCHESTER COUNTY,BEELINE VAN TRANSIT SERVICES COME TO,HIROO'S NEIGHBORHOOD OR THE TOWN OF eastchester UNTIL HIROO IS KIDNAPPED TAKEN BY TO THE STERLING CLUB COMMUNITY CENTER IN WHITE PLAINS! he IS SO stupid! i MADE HIM DO COCERION! i DONT WANT MY REAL NAME USED! My Yahoo Calendar STOPPED SENDING REMINDERS in December! I can't make it work, no matter what....I've already missed payments and appointments because of this! WHAT GIVES?? One of my favorite group organizing tools is http://www.Qlubb.com. It's much simpler than Yahoo (but it also has fewer features too) which makes it easier to work with others. Plus I don't have to ask others to create a yahoo account like I do on Yahoo which is annoying since a lot of my friends are now on gmail, comcast, etc. I used to use a personal organizer called Jott which was pretty cool. I think it got bought by another company though and I haven't had to be as organized lately. How do you print the calendar? I can't find a print button anywhere and if you print from the browser then the fomat comes out wrong. There is nothing on Yahoo help about this either. Gordon, thanks for the question. In the upper right part of the calender view, you'll find a tiny "Printable Version" link that will provide you with a view of your calendar that you can print. 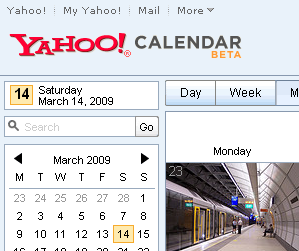 it`s been a long time since Yahoo was mentioned anywhere and for calendar it`s been there for ages. It used to be good but not any more. It`s full of bugs that would send me 4-5 emails for each reminder in the sameday and if you try to edit it, it sends you one more. It`s not easy to use as others. I've been using Yahoo! email and calendar for several years and find it a great way to keep track of my schedule. I tried their new beta calendar this winter but found it wouldn't sync with BlackBerry desktop manager. I switched back to the original calendar and all has been fine since. I liked how the beta kept things more tidy but I'll survive. While I like and somewhat use Yahoo Calendar, Yahoo deserves a BIG thumbs-down for keeping this an island. For more than 1.5 years, Yahoo has been promising to update their sync software to support Outlook 2007 and Vista. They have made zero public progress on this. Emailed comments only get canned responses pointing to the current -- but outdated -- software. 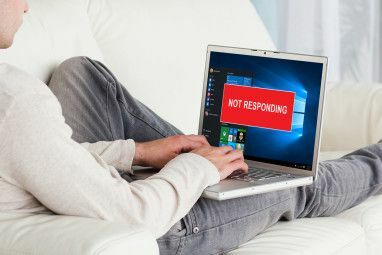 "Vista/Outlook 2007 are not currently supported. We hope to have this by the end of 2007." Rick - I agree. While you can export to CSV and import into Outlook, that's no replacement for the sync feature, and hopefully Yahoo will get that straightened out soon. Anyone lied,to me at,the sterling club community center in white plains,about using other people's E mail posting dirty messages on the internet will not not be tolerated! Its a cyber crime I am calling the fedreal bureau of invesgation,ALSO Its come to my attention on mondays,except for holidays some people are not attending hearing voices group mondays 1-1:45 pm it was opitional since hune 2015 but I changed,the rules I know certain hear voices if they dont get the psychtric attention they need wait and watch what happens! Thanks for all the details on Yahoo Calendar. I think using the reminders is especially effective for giving you that gentle nudge to get something done! I struggle to keep organized these days with a full household and a ton of different schedules. I love being able to logon to my webtop from anywhere to see exactly what is going on and who needs to be where. I've also got all my files and documents at my fingertips in case I need to get something done! I know,about that hologram room 202,where it used to be a sterling club library! ok? although its a third dimension I wrote a sterling club community center,calendar Especially mondays,thursdays,and fridays people are not attending classes as scheduled if hearing voices group on mondays 1-1:45 pm except for holidays,is not stepped up I will impose more strict rules! It also has come to our attention people are not attending the weekend sterling club socials,it is no longer say no policy if not attend I will hospitalizing people one by one for depression,hermit or isolation! We gonna,kill somebody,inside a mental hospital! Like the movie death wish 2 not crazy,I heard of murders inside a mental hospital!